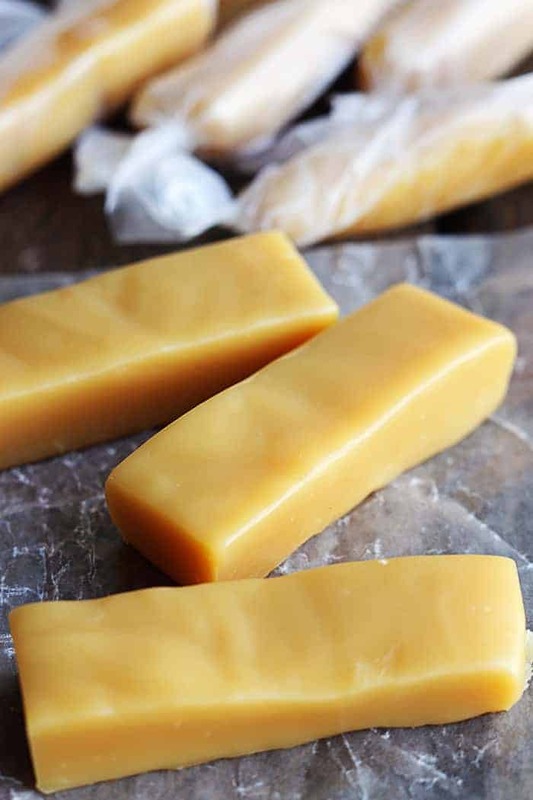 Microwave Caramels are so incredibly easy to make and they turn out perfect! Soft chewy and perfect caramel texture made right in your microwave! We love all recipes that have caramel in them! Be sure to try these other caramel desserts: Salted Caramel Brownie Bites, Chocolate Caramel Fudge, or these Peanut Butter Caramel Chocolate Chip Bars. Heyyyyy it’s Tiffany from Creme de la Crumb! Can you believe Christmas is one week away?? Crazy. Just crazy. I’m knee deep in wrapping paper and holiday treats and my house smells like pine and gingerbread. I’m one happy gal! I’ll tell you what though, during Christmas time life is so busy and hectic that I LOVE finding really easy recipes that don’t take a lot of time. These caramels are no-fuss and sooo yummy – plus they make the perfect neighbor gift (if you can bear to part with a few!) I love to sprinkle a little sea salt right on top of mine to get that salty-sweet thing going on – MMMM! How do you make caramel in the microwave? Start by generously buttering a 9×13 inch pan and set aside. In a microwave safe bowl, melt the butter. Once the butter has been melted, add the brown sugar, karo syrup, and sweetened condensed milk. Microwave on full power 4- 5 minutes. Remove from the microwave and stir. Continue microwaving for 4-5 minutes. Stir again and add the vanilla. Pour the caramel into the 9×13 inch inch buttered pan. Let them completely cool for 1-2 hours. Cut the caramel with a knife and wrap in wax paper. In a 9x13 inch dish, generously butter a 9x13 inch pan and set aside. In a microwave safe bowl (make sure it is microwave safe!) melt the butter. Once the butter is melted add brown sugar, karo syrup, and sweetened condensed milk and mix well. Microwave on full power for 4-5 minutes. Remove from microwave and stir. Continue microwaving for 4-5 minutes. Stir again and add the vanilla. Pour the caramel into the 9x13 inch buttered pan. Let them completely cool for 1-2 hours. Cut the caramel with a knife and wrap in wax paper. Keep refrigerated. 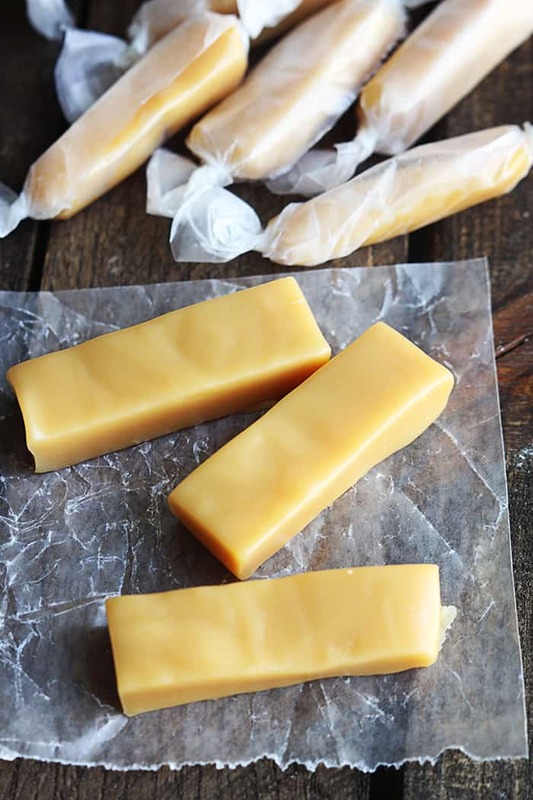 Homemade caramels are the best! Hi! Your recipes look great. I am making your Peppermint Meltaways from last year for a cookie exchange and wanted to know the yield. I have to bring 4 dozen cookies. Also what is the yield on this caramel recipe? 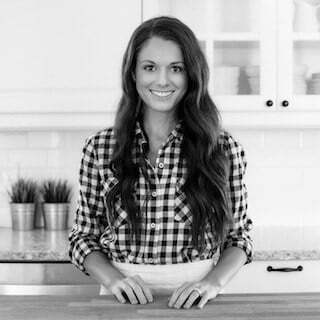 The yield is important information that I think you should try to be sure to include on all of the recipes. Thanks so much! So excited to try these! I have a question. Will altitude affect the cook time on these like with caramels made on the stovetop? I learned the hard way when I moved to Colorado and had to try THREE times. Do not want to do that again. 🙂 Thanks! You can replace 1 cup of light corn syrup with 1 1/4 cups granulated sugar dissolved in 1/4 cup hot water or other liquid used in the recipe. For 1 cup of dark corn syrup, you can use the following substitutions: 3/4 cup light corn syrup plus 1/4 molasses. 1 cup honey. I tried these over the holidays and they would not harden. The flavor was wonderful but it was just a gooey glob. What did I do wrong?? Maybe you didn’t microwave it long enough. Look delicious! Can’t wait to try! What is a c. Butter? A cup? A container? A stick? It’s not clear. One stick of US butter is 1/2 cup. I wanna try this recipe. What do you mean by the following? Could you please convert this to ml or grams? I just want to make sure it’s correct. What if we DON’T have brown sugar? Could we use white sugar? My son loves caramels too much. Now with this recipe I can cook it at home too. Similar to previous posts—-these would not harden—is there any way to salvage them?? Is that a total of 8 to 10 minutes in the microwave? Or do you stir once during the 4 to 5 minute period and then continue microwaving with a total of 4 to 5 minutes? The video doesn’t show a second microwaving of the caramel sauce.